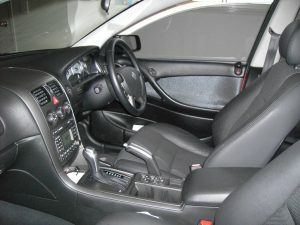 When you purchase a car, either through a loan or car leasing in Australia is a significant achievement. Because of this, you will want to take good care of it. Aside from keeping it clean and doing preventive maintenance, you should also look after its heart: the car battery. Car batteries give your vehicle the power to run. That’s why if it stops working, everything else stops until you either recharge or replace the battery. It is essential to do everything you can to ensure that your car battery stays in good shape to avoid breaking down when you’re driving to the store and leaving you stranded in the most awkward places. Typically, a car battery’s life lasts anywhere between three to six years depending on how you use it. 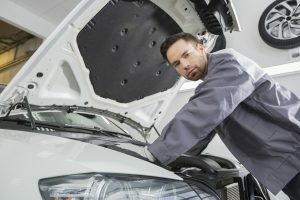 If you tend to connect electronics while the engine is running, then this could lead to draining your battery a lot faster. Multiple discharge/recharge cycles can even damage the battery, prompting you to replace it a lot sooner. Like everything else in the world, your car battery will eventually give you one final ride before dying for good. When it does, remember to dispose of it properly to avoid chemical pollution. But you can delay the inevitable for as long as you can. Your battery works hard to ensure you get to your destination. While you’re driving, your engine recharges the battery. However, if you take multiple short trips in your car, the battery won’t charge effectively. So, if you can, avoid multiple short trips throughout the day, and try to get everything done in one long drive. Your car’s movements can shake the entire body. If shaken, the batteries internal components can break, create short circuits and thus ending its life. That is why it is essential to ensure that it is secured with a battery clamp so that it can stay safe during your drives and prevent excessive vibrations and damage. Turn off lights when parking on while your engine is turned off. The fastest way to drain your battery is by leaving the lights on when the engine is turned off. To prevent a nasty surprise from happening double check everything before you leave to ensure there won’t be any unwelcome surprises on your return. Accumulated dirt and water on top of the battery can cause it to discharge through it. If you let it do this for a prolonged period, you can expect your battery to die eventually. Aside from that, the dirt on the terminals will speed up corrosion over time. To clean the top side of your battery, use an old toothbrush dipped in a baking soda and water mix. Next, spray it with some cold water in a spray bottle. Finally, dry everything up with a clean cloth. Take care of your battery, and it will take care of you. If you’re about to go on a long drive, remember to take these precautions to prevent yourself from getting stuck in the middle of nowhere with a dead battery.